How much do you know about head lice? Once you get past the social stigma surrounding lice you will see how interesting this evolutionary bug really is! Head lice are very evasive and chameleon-like, disguising themselves to match the hair color of their host. Lice grow very quickly once hatched and range in size depending on what stage of growth they are in. An adult female louse is the size of an uncooked grain of rice while nits are about the size of a sesame seed and have a teardrop shape. Nits are dark in color once removed from the hair because you can see the embryo inside of the shell, but can appear white or translucent while still on the hair shaft. 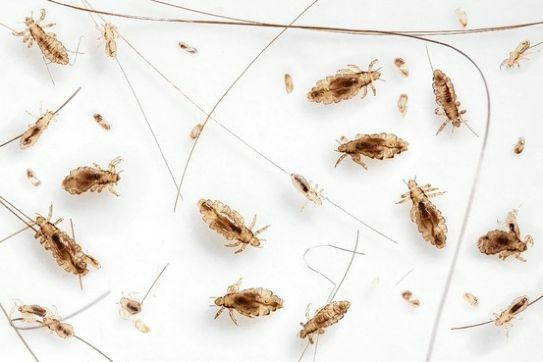 Once inoculated, a female louse will lay five to ten nits per day. Those nits use the body temperature on your scalp to incubate and hatch within seven to ten days. Seven to ten days after hatching, babies become teens and determine their gender based on whether they need females or males for survival. In another seven to ten days, teens will mature into adulthood and start laying their nits, continuing the cycle. Head lice infestations develop very rapidly however; every case of head lice is different. The duration of the infestation is determined by the amount you have and stages of the life cycle the head lice are in. For more information about head lice visit headlicespecialist.com or call 678-240-0042 to speak to a certified lice removal specialist. For information about treatment or preventative products visit headhuntersnaturals.com.